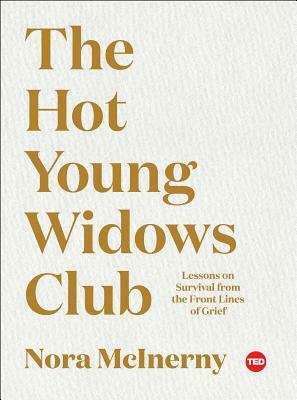 The Hot Young Widows Club isn’t just for people who have lost a spouse, but an essential tool for anyone who has gone through a major life struggle. Based on her own experiences and those of the listeners dedicated to her podcast, Terrible, Thanks for Asking, Nora offers wise, heartfelt, and often humorous advice to anyone navigating a painful period in their lives. Full of practical guidance, Nora also reminds us that it’s still okay to laugh, despite your deep grief. She explores how readers can educate the people around them on what to do, what to say, and how to best to lend their support. Ultimately, this book is a space for people to recognize that they aren’t alone, and to learn how to get through life’s hardest moments with grace and humor, and even hope. Nora McInerny has a lot of jobs. She is the reluctant cofounder of the Hot Young Widows Club (a program of her nonprofit, Still Kickin), the bestselling author of the memoirs It’s Okay To Laugh, Crying Is Cool Too, and No Happy Endings and the host of the award-winning podcast Terrible, Thanks for Asking. Nora is a master storyteller known for her dedication to bringing heart and levity to the difficult and uncomfortable conversations most of us try to avoid, and also for being very tall. She was voted Most Humorous by the Annunciation Catholic School Class of 1998. "Wise...McInerny’s simple and effective advice will be valuable for anyone who has survived a loss."